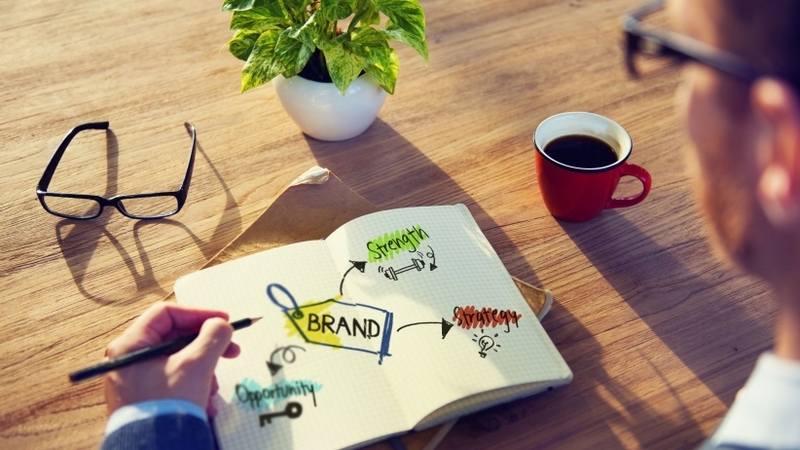 When it comes to personal branding, we’ve certainly seen some crazy things lately. We learned hilarious branding lessons from Mexican drug lords and uncovered a trend of using fake names while internet dating. We learned the troubling truth about Louise Delage and watched Trump and Clinton stab each other on social media as their fans rallied behind them. If one thing is clear, it’s that personal branding has become less of a competitive advantage and more of a requirement. It’s become a reality for the political process, for enacting social change, for taking advantage of business opportunities, and even for helping (or hurting) us in our dating lives. As we all look to take advantage of this important reality of the online world, I encourage you to be smart about your personal brand. Take stock of these classic personal branding errors before you trip and make the same blunders yourself. Whether you’re a high school senior, a c-suite executive, or somewhere in between, personal branding has a place in helping you take your career to the next level. Personal branding is all about marketing and distinguishing yourself -- and showcasing that online. It’s about taking control of your online narrative to help you achieve your goals. If you’re a high school senior, your goal may be to earn acceptances from competitive colleges. If you’re a college student, you need to showcase your skills to land an internship or a summer job. If you’re a c-suite executive, then you might be looking to grow your business, earn more clients, or switch into a new industry altogether. Whichever path you’re on, your online presence can either help you or hurt you along the way. Don’t make the mistake of thinking personal branding doesn’t pertain to you. When we’re first dating someone new, we often try to show the best side of ourselves. Maybe our apartments looks a little cleaner than they normally do. Or perhaps our jobs suddenly become more interesting and impressive than they were last week. In small amounts, this practice can help you gain someone’s attention and forge a deeper connection. Taken too far, you risk becoming someone you’re not for the sake of continuing a relationship. Now, think of personal branding like dating. If you selectively showcase your positive side online, you give yourself the best chance of getting the attention of colleges, companies, and new clients. But if you take it too far, you risk it backfiring. Nobody wants to date, hire, or employ a fraud. Authenticity is key, both for relationships and personal brands. Don’t make the mistake of pretending to be someone you’re not. Dentists recommend brushing your teeth twice a day, every day. Can you imagine what would happen if you only brushed your teeth once they started turning brown and funky? You’d probably get gum disease, have some pretty brutal tooth aches, and your smile would leave a lot to be desired. Once you get to this point, it’s usually too late to fix everything. At the very least, there is a lot of ground to make up. Brushing your teeth on an ongoing basis is a far more effective way to maintain a winning smile and good oral hygiene. Personal branding works in much the same way. It’s harder to take control of your online narrative once there is something bad that you need to contend with. Many folks only realize how important their online presence is once they have a problem. But that’s a classic mistake. Personal branding can be even more effective, and less of a headache, when it’s done preventatively. A little work now can make things a lot easier later. Would you ever sit down to market a business when you’re still unsure what the product is? Of course not. The same is true for personal branding. You need to ask some important questions first before you write a blog post or send out that first tweet. And the reason is simple. It may not be an easy or comfortable process, but figuring out what makes you “you” is a necessary first step to making your brand realistic and relatable -- and getting in front of the people who matter most. The people who skip this step and jump immediately to packaging themselves are the ones who end up with forced brands that they can’t relate to and ditch after a week. Personal branding requires a lot of time, with a focus on website design, content marketing, social media activity. With all of that online activity, it would be foolish to not determine your unique value proposition or your target audience. Otherwise you’re just spinning your wheels. When creating a personal brand, you cannot overestimate the importance of external consulting from friends, family, or a professional branding firm. After all, you're not creating a brand to impress yourself, you're creating a brand to impress others. And it is very difficult to see yourself clearly from your own perspective. Talking your brand out with someone else can help you get a little distance from the narrative you already hold in your own head. It’s the same reason we pay psychotherapists and marriage counselors -- and branding firms -- for their advice and perspective. And the consequences of making a branding mistake are pretty scary. You can run with a “great idea,” only to find out afterward that it is extremely offensive to a core group of your audience. A little outside perspective goes a long way. Building and maintaining an effective personal brand is a lot more than just having a website and a few social media channels. It’s about providing people with real value, again and again. It’s about distinguishing yourself from your competition and making yourself memorable for the people you want to impress and interact with most. That’s no easy feat, especially in a noisy digital world. It takes five to seven impressions for someone to remember a brand on average, so imagine the work you need to put in to get in front of the right people over and over again. Publishing content without doing any outreach is usually a waste of time. Imagine a new business owner that opens up a shop on a quiet street. He has an amazing product but does absolutely nothing to bring in new business. He turns on the lights and sits in his swivel chair, swiveling around waiting for people to come in. Of course, nobody arrives. Personal branding works in much the same way -- if you don’t do the work to get yourself seen by the people who matter, then you won’t get the reach you desire. The most efficient way to do this is through influencers. They might be colleagues and family in your existing network, your friends from way back when, or complete strangers in your industry who would be happy to collaborate. Do yourself a favor and find these influencers first so you can get the traffic and engagement you desire. If you exclusively share content published by other people, then you’re a content DJ. Now, there’s nothing inherently wrong with being a content DJ. It’s great to give shout outs to other thought leaders and businesses in your industry. And sure, people may find you have an exceptional taste in shared content. But the problem is that, when it comes down to it, you’re convincing your fans to go elsewhere for industry knowledge. So rather than relying only on shared content, make an effort to generate your own. Develop your own voice, express your own opinions, and publish content that your audience will care about. Once you start doing that, there’s no reason you can’t supplement it with other content from around the web. The more the merrier! Sure, it is possible to overdo the online activity and become spammy. But chances are that you’re not posting nearly enough. Not even close. You’re probably publishing way too little content, you’re not engaging with your audience enough, and you’re definitely not active enough on social media. Remember, when drafting a social media posting schedule, you’re not looking to check off boxes, you’re looking to get attention for yourself and your brand. If you post a video once a week or once a day, you’re going to get a lot more attention than if you post once a month or once a quarter. You can’t spend a lifetime on one post or one tweet and simply hope that it goes viral. Remember, consistency is key. The likelihood of your audience seeing your content in a noisy digital space is already tiny. The last thing you need is to lower that probability even more. Get active, and get active now! Getting followers for the sake of simply growing your follower count is a rookie mistake. If you have 500,000 followers and get no engagement on your updates, what’s the point? Your content is still getting ignored and nobody new is thinking about your business. You’re not fooling anyone. What is more valuable to you? 500,000 fake followers or two dozen die hard fans that engage with your content every week? I’ll go with the engaged followers every time. They’re much more likely to tell their friends and share your content -- and to buy from you -- than the 1-cent followers you bought from that dude on Craigslist. If you’re keen on growing your following quickly, then my suggestion is to use a tool like Crowdfire, where you can customize the people you want to follow based on keywords, hashtags, and specific audiences.